Broker Fees, How Much Do Business Brokers Charge? How much do business brokers charge? Fees, charges, commission? Note: Subscription may be required to read some parts of this article. Subscription is free. The short answer is that when employing a business broker you’ll usually end up paying a commission of around 8%-10% of the price at which they list/sell your business. We’ve seen outlier prices of 1.5% and 12%. – “£699 in advance as a retainer + £300 pm for marketing + 10% of the selling price”. The rest of this page applies to smaller businesses (under £10 million in turnover). No Upfront fees: Some of the largest brokers who are aggressive in their client acquisition - and are known for large scale cold calling operations (and the hard sell) - operate on a no-sale-no-fee basis. 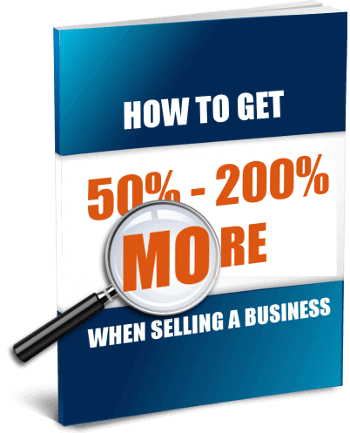 Their aggressive selling tactics tend to work very well and most small businesses in the UK listed for sale at the major portals are represented by brokers like these under this kind of "success fee only" model. You simply sign the contract, they advertise the business for you, and if they sell the business you pay a percentage of the final sale price. In theory, if they don't sell your business you don't have anything to pay. In theory. However, you need to be extremely careful about entering into agreements with some of these brokers. And we've covered the reasons here (see the section on the Rat Trap). Some of the smallest brokers, offering a friendly and efficient local service, also tend to use this charging model. So, unfortunately, you can't tell a good brokerage from a bad brokerage simply from the model they use. Retainer Required: Brokers that handle larger businesses will always charge a retainer as there's a fair amount of market research, business exit preparation and other work that needs to be performed prior to the business going on the market. This could be several weeks' worth of work and these brokers won't put in that effort on a "success fee only" basis. There are a number of innovative and imaginative ways these fees are structured. The larger the business, the greater the retainer. For a business with a turnover of £50m, the fee starts at a few hundred thousand pounds as they need "investment banker" grade professionals (complete with FCA registration etc). For a business with turnover of between £10m - £50m, the type of brokers capable of selling these firms would charge an advance fee of between £50K - £100K. Businesses with revenues of between £1m and £10 m would also need to pay an advance fee for the best representation, but they use our service to find the best deal and to negotiate the price. Not all brokers deliver value for the upfront fees they charge. The fees themselves vary widely. Some are payable monthly or quarterly. Be aware that in all cases there will probably be VAT on top of the price quoted. Below are numerous examples of UK brokers - small and large - and what their known charges and fee structures are. Extensive research has been done into fees at the upper end of the spectrum - covering mid-market and upper mid-market businesses (firms with Enterprise Value or Turnover from £10 million to £200 million). However, most of that research is US based. For those who may be interested, we reproduce some of it below with links. In 2016, Firmex and Divestopedia partnered to provide transparency into M&A fee structures within North America. Their survey ran from August through to the middle of October 2016 with 320 responses. Nearly two-thirds of respondents (211) listed their occupation as Investment Banker or M&A Advisor, which stood out by far as the largest group at 65.9%. In comparison, the next-largest categories were a Business Broker, at 10.6%, and Business Development roles at 7.2%. 9.5% of the firms surveyed said that their minimum deals size was $50 million. The majority (56.4%) said that their minimum deal size was $5 million. The vast majority of firms charged an engagement fee and only 8.5% didn't. 46.4% had a fixed size engagement fee, paid in one instalment while 37.9% had a monthly engagement fee. A small percentage (7.1%) charged by the hour. Of those charging a fixed fee, 61.3% had an engagement fee of over $30,000. Success fee: 37.4% of respondents used a simple percentage calculation. 36.5% used a scaled percent formula; 25.6% utilized the Lehman or similar formula. Summary: "...the average small firm, that is, with a market cap of $5 million should be prepared to have to pay a closing fee of approximately $225,000, on average, to its deal advisors. Similarly, a $20 million sale price will cost an average of $665,000 in success fees alone, while a $50 million company would be charged $1.3 million,based on the fee structures given in the responses..."
The full report is a PDF that can be downloaded from here.